Yesterday – the 8th of January on the Atlantis Cove hotel, Paradise Island, Bahamas – Viktor Blom, a 20 year old Swede from Rånäs, Stockholms län, was officially revealed as being the person behind online poker phenomenon Isildur1. The last couple of years most people following online poker have pointed towards Viktor Blom and Isildur1 being one and the same, however yesterday it became official. The move into the public limelight was prompted by Viktor’s signing as a Team PokerStars Pro in December 2010. In this article I will summarize how Isildur1 built his bankroll (and lost it again on several occasions) during the crazy roller coaster ride of 2009 and 2010. As the story goes a young Swedish player deposited 2000$ on the Ipoker network under the nick Blom90 around the 1st of January 2009. 3 weeks later he had turned the 2000$ into a staggering 1,5 million!! $ by playing heads up no limit tables. 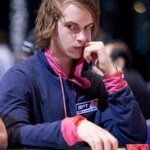 At this point Viktor Blom – aka Isildur1 – and the person behind the Ipoker account was only 18 years old. In September 2009, Isildur1 appeared for the first time on Full Tilt. At this point Viktor Blom had built his bankroll to a level where he felt ready to take on the poker elite. Isildur1 first took on Haseeb Qureshi at the $100/$200 stakes. In an epic 24 hour session Blom was up half a million $. A month later he battled it out against Patrik Antonius, Brian Townsend, and Cole South and lost a million $ in no time. In late October 2009 he won back 2 million $ from Brian Townsend, and Cole South and inspired by his success sat down simultaneously at 6 500$/1000$ tables waiting for action. He got it from Tom Dwan Durrrr and won a record breaking 5 million $ in a week. In the same period he also won 1,6 million $ from Patrik Antonius. The next pro to take on Isildur1 in November 2009 was Phil Ivey and he did a lot better than the previous opponents. While multi-tabling against other pros, Isildur1 lost 3,2 million $ to Phil Ivey in a week. Ivey’s success gave hope to the other pros and Antonius challenged Isildur1 in omaha, which proved to be a good plan. Antonius won 3 million $ from Isildur1 in a period of 24 hours. The biggest single day loss in online poker at the time. 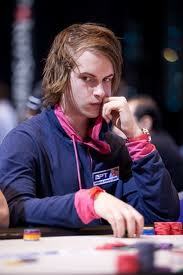 The next day however, Viktor Blom won back 2 million $. Finally on December 8th, Viktor Blom’s amazing roller coaster ride on Full Tilt poker came to an end during a 5 hour session against Brian Hastings. Isildur1 lost 4,2 million $!!!! Later it was revealed that Brian Hastings had collaborated with Brian Townsend and Cole South, exchanging hand histories against Isildur1 to get an edge. Obviously displeased to learn about this unfair play by Brian Hastings, Isuldur1 left Full Tilt poker for several months. Amazingly, Isildur1 was involved in all of the top 5 biggest online pots in 2009. It took a while for Viktor Blom to get back on the horse after his nightmare session with Brian Hastings, but slowly during February and March 2010 he gained momentum and the wild million $ swings were back. First winning 2,3 million$ Justin “ZeeJustin” Bonomo, Durrrr, Ziigmund, and Brian Hastings only to lose 1,6 million $ again to Bonomo, Hastings, and OMGClayAiken. Viktor Blom returned to Full Tilt poker a couple of times during 2010 only to lose some medium size amounts (according to his own standards). Then in December 2010 Isildur1 was announced as a new pro at PokerStars and soon after his true identity was revealed. According to Bluffmagazine, Isildur’s biggest (and so far only) live tournament cash in from the 2010 WSOPE No Limit Hold’em Championship where he finished in 16th place taking down around 50000$. Until then, Viktor Blom’s most memorable live tournament moment (for others, not himself I guess) was when he was one of the chip leaders in the 2009 WSOPE No Limit Hold’em Championship and bluffed away his entire stack against Ian Munns (you can find a video of the hand on Youtube). Blom raised to 3,000 pre-flop with K-2 of diamonds and Munns re raised to 9,000 with A-7. Blom called and the flop came A-A-3. Blom checked, Munns bet 9,000 and Blom made it 58,000. Munns put another 116,000 into the pot and Blom shoved all-in for 231,000 not being able to put Munns on an Ace or hopin he would fold a weak Ace. Munns ended up calling and Blom was history and calmly and almost silently left the table. After his sign-up with Poker Stars, Viktor Blom will be attending a lot more live tournaments in the future and it will be exciting to follow his progress.